APR.Interns aren’t just mathematics and statistics students. Gauri Laud, RMIT University, recently completed a market research study with Show Works Pty. 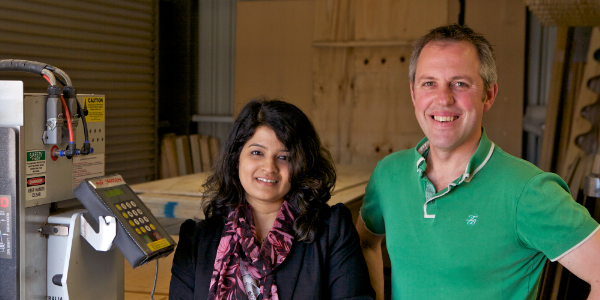 Ltd., a Melbourne-based company that designs and builds theatre scenery and low-cost sprung dance floors. Show Works identified a need to improve their understanding of their target market segment for the Sprung Floor by Show Works™ and to develop a strategy for entering the international market. Tim Blaikie, the Business Development Manager at Show Works, describes the Sprung Floor as the ‘inverted Lexus’ – taking an expensive, luxury item and developing an affordable equivalent that doesn’t currently exist in the market. “Until recently a sprung dance floor was seen as a bit of a luxury item, which to me seemed counter-intuitive, a bit like saying that a car seat belt is a luxury item”, Mr Blaikie said. And it’s not difficult to understand the need to make dance floors more affordable. Young women wanting to teach dance often pour their money into business marketing and rent, leaving them unable to invest in their number one piece of safety equipment – a force-reducing floor. Many new dance teachers end up teaching on concrete slabs, increasing the risk of injury to themselves and their students. During her 5-month internship, Gauri analysed the perception and market potential of Sprung Floor by Show Works, and examined the company’s capacity to enter the more competitive European market. The research process included a series of in-depth interviews with representatives from within and outside Show Works’ current target market segments. “The APR.Intern internship helped me understand how action research takes place. Specifically, it helped me practise and enhance my project management skills”, Gauri said. Gauri identified ways that Show Works can improve their marketing strategy and expand the business to groups outside the dance industry. She also made recommendations about how to effectively approach the European market. “Gauri provided us with a targeted, focused insight into our market, and we are doing everything we can to follow her recommendations”, Mr Blaikie said.